People who have been convicted of felonies should be careful around firearms or ammunition and should not carry a weapon. The overall idea is that convicted criminals are dangerous or could be potentially dangerous and should not have accesses to guns, ammo, or weapons. These types of cases are taken seriously by law enforcement and will be prosecuted aggressively. Even if you are innocent, you might be taken for a ride through the system which will cost money and time. An old proverb is very applicable here. If you play with fire – arms – you’re going to get burned. You carried a concealed weapon. (4) Convictions of felonies in other states, territories, or countries punishable for more than one year. It can be from any other jurisdiction. The conviction can easily be proven by the state prosecutor by ordering certified copies of the convictions. If you have been convicted of a delinquent act that was punishable for more than one year, the previous conviction can be used if the individual at the time was not an adult but is currently an adult under 24 years of age. There are two ways you can get in trouble: (1) you had possession of a firearm, electric device, or ammunition or (2) you carried a weapon concealed. Most people understand that guns are firearms but the definition of firearm does include things that can get you in trouble even though they don’t resemble full sized modern guns. A starter gun that is used for sporting events is considered a firearm. The lower receiver for a gun, even though by itself it cannot shoot anything, is considered a firearm. Antique guns are not considered firearms but if the antique gun is used in a crime or if it starts to look more modern, it is a firearm. See Bostic v. State. Silencers are also considered firearms. The definition of weapons is a very broad category. Weapons can be knives, billie clubs, brass knuckles, etc. If any of these are carried concealed, then the felon is guilty of this crime. Electric weapons or ammunition cannot be in the possession of the felon. This means tazers. Also, if the person has all the equipment and materials to make ammunition, they could potentially be violating this statute. A felon can possess a firearm that is an antique firearm and it is not used in the commission of a crime. An antique firearm is a firearm created or made from 1918 and before. The antique firearm does not have to be made in that time frame but could be a newer gun that is a copy of an old gun. This is why felons who enjoy hunting use antique rifles. Make sure your antique gun is considered antique. Not all antique type guns are considered antique. Talk to an attorney before you do anything. Another exception is if the felon has had his civil rights restored by the Florida Board of Executive Clemency. There are two types of possession: (1) actual possession and (2) constructive possession. Actual possession is like the gun being in the person’s hand, in his pocket, his backpack, or under the seat of the car he is sitting int. Constructive possession is where a person has control over the gun or has it in a concealed place. Depending on how the felon possesses the firearm will determine what type of punishment he could receive. This crime is ranked level 5 under the Florida Criminal Punishment Code. Florida 10-20-Life rule makes it a three year minimum mandatory sentence punishable up to 15 years in prison and a $10,000 fine if he has actual possess the firearm. If the felon constructively possesses the gun, then the crime is a second-degree felony which is punishable up to 15 years in prison and a $10,000 fine with no minimum mandatory prison sentence. If you were adjudicated delinquent as a minor of what would be considered a felony if you were an adult at the time and you are currently under 24 years of age, you can be convicted of this crime of possession but the conviction does not have a minimum 3 year mandatory sentence under Florida’s 10-20-Life rule because it is not listed in the statute. See Florida Statute 755.087(2)(r); see also Potter v. State. If the individual was previously charged with gang related crimes or has the gun for gang related purposes, the second-degree felony is enhanced to a first-degree felony which is punishable up to 30 years in prison and a $10,000 fine. If you have been charged with this serious crime, contact our attorneys and we can help. There are defenses that are available to individuals charged with this crime. 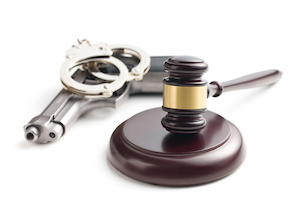 We serve the South Florida area and focus on criminal matters.